We raised $80,625 for The Rohr Chabad Center for Jewish Student Life at Binghamton University! 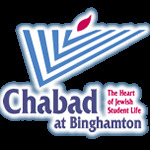 Chabad of Binghamton provides a vibrant, joyous, multi-faceted Jewish experience for thousands of students at Binghamton University. Please help us defray our $83,000.00 end of year deficit with your generous donation. I would like to receive news and updates from The Rohr Chabad Center for Jewish Student Life at Binghamton University by email.